In August 2013, the FDA produced guidance on Oversight of Clinical Investigations – A Risk-Based Approach to Monitoring. The guidance was intended to assist sponsors of clinical investigations in developing risk-based monitoring (RBM) strategies and plans for investigational studies of medical products, including human drug and biological products and medical devices. 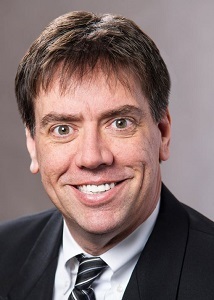 In March 2019, the agency produced an eight-page question-and-answer draft guidance seeking to provide additional insights and facilitate sponsors’ implementation of RBM. FDA regulations require sponsor companies to monitor the conduct and progress of their clinical investigations. However, those regulations do not specify how sponsors should conduct this monitoring. A range of approaches can be compatible with the regulations. The FDA also recognizes RBM as an important tool that allows sponsors to identify and address issues while conducting clinical studies. With the original guidance almost six years old, the FDA believes additional guidance would be beneficial regarding the recommendations for planning a monitoring approach, developing the content of those monitoring plans, and addressing and communicating the monitoring results. Here is a summary of the questions and answers in the latest guidance. Question 1: What is the purpose of the risk assessment and should sponsors document their methodologies and activities for assessing risk? Per the original RBM guidance, sponsors should identify and perform a risk assessment on the critical data and processes necessary for patient protection and integrity of the investigation. The risk assessment serves to identify and understand the nature, sources, likelihood of detection, and potential causes of risks that could affect the collection of critical data or performance of critical processes. Per the new guidance, the risk assessment informs the development of a monitoring plan and could also support efforts to manage risks across an investigation or development program. Therefore, sponsors should document their risk assessment as well as methodologies used for the risk assessment. They should also document conclusions of the risk assessment and how the assessment was used to make decisions on the management of identified risks. The monitoring plan should include information regarding the identified risks and how the monitoring methods will address those risks. By including these components in the monitoring plan, sponsors enhance the usefulness of the plan by providing a clear explanation of the identified risks and how they will be monitored, managed, and mitigated. Question 2: Should sponsors monitor only risks that are important and likely to occur? The short answer: Yes. The FDA is concerned about the safety of human subjects and data integrity. Therefore, any risk-based approach should focus sponsor oversight activities on preventing or mitigating important and likely risks to those two factors. Sponsors should also consider monitoring risks that are less likely to occur but could have a major impact on the quality of the investigation. Upon identifying the important risks, sponsors should determine the type and intensity of monitoring activities best suited to address them. 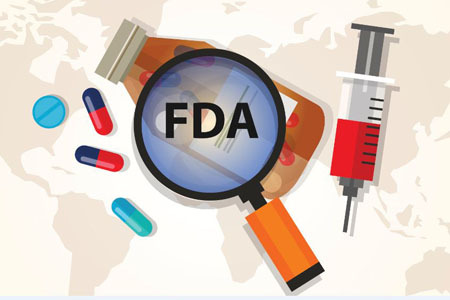 The FDA states monitoring plans should also permit monitoring activities to evolve based on issues and risks that are identified during the conduct of an investigation. Question 3: What factors should sponsors consider when determining the timing, types, frequency, and extent of monitoring activities? Question 4: How can a risk-based approach to monitoring that includes centralized monitoring help minimize missing data, protocol violations, or protocol deviations? A situation could arise where poor trial conduct or adherence to the investigational plan causes or contributes to incomplete data collection. By reviewing important investigation activities, in real-time and across investigator sites, sponsors may be able to identify the reasons for missing data, protocol violations, or protocol deviations. By doing so, they can take corrective actions to minimize the likelihood of reoccurrence in the future. Question 5: Should the risk-based monitoring approach include processes to ensure that appropriate blinding is maintained? Yes. If blinding will be used for interventions and/or outcome assessments, it is critical for sponsors to ensure that the investigation blind is maintained. This should be considered in a sponsor’s risk assessment. Specific risks to the maintenance of the blind that are identified during the risk assessment should be mitigated in advance of investigation initiation, when feasible. Additionally, identifying and tracking deviations during investigation conduct that could result in unintentional unblinding of treatment assignment should be considered as a part of the monitoring plan to ensure that appropriate blinding is maintained at sites and by the sponsor. Question 6: What elements should sponsors include in monitoring plans? The monitoring plan should describe each of these items in sufficient detail, and sponsors should reference related documents, when appropriate. Question 7: How should sponsors follow up on significant issues identified through monitoring, including communication of such issues? The guidance states significant issues identified through monitoring should be thoroughly evaluated in a timely manner at the appropriate level as described in the monitoring plan. Appropriate corrective and preventative actions should then be taken. Deviations from the investigational plan should be documented, tracked, and escalated to relevant personnel, as appropriate. Related systemic issues should be identified and resolved promptly to ensure that investigation quality is maintained. Examples of corrective and preventive actions that may be needed include retraining investigators and site staff; clarifying protocol requirements through protocol amendment(s); or revision(s) to informed consent documents or procedures. Significant issues identified through monitoring and the actions to be taken should be documented and communicated to the appropriate parties, which may include sponsor management, sponsor teams, sites, institutional review board(s), and other relevant parties such as CROs and the FDA when appropriate. Question 8: How should centralized monitoring activities and the results of these activities be documented and shared with those involved in the investigation? Documentation of monitoring activities should generally include the date of the activity; the individual(s) conducting and participating in the activity; a summary of the data or activities reviewed; a description of any noncompliance, potential noncompliance, data irregularities, or other identified deficiencies; and a description of any actions taken, to be taken, or recommended. Documentation should include the results of centralized monitoring activities in sufficient detail to allow verification of adherence to the monitoring plan describing those activities. Reports of centralized monitoring activities should be provided to appropriate management, including sponsor staff responsible for investigation and site oversight, in a timely manner for review and follow up. In addition, sponsors should inform the clinical investigator of monitoring findings from centralized monitoring activities that are relevant to the investigator’s activities.